Mahindra Tractors price list in India. All Mahindra tractors models with price list in India. In Indian market there are Mahindra tractors between 15 HP to 57 HP. In this post we have tried to cover All Mahindra tractors models with their price list and HP Details. 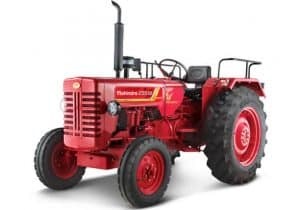 Mahindra tractors models with price list in India, specifications.List of All new Mahindra tractors models with price and other basic detail about each model.